We need a new maps app. Our maps define our cities, and well, Google and Apple just don’t make the city shine. They get you from point A to point B fine, but there is so much more than that. I started thinking this after I installed Brella on my phone. Previously, I was using AccuWeather, but I was becoming increasingly concerned about my privacy, especially considered that they use my location data to advertise and make revenues, and tracked me even when I was not using the app. There are a ton of existing map apps out there but none quite solve the problem. Don’t get me wrong, Google Maps is great. It’s been my go to for years. I love how accurate the traffic predictions are—on trips less than half an hour or so, I’m confident I’ll be there within a few minutes. Accuracy—Google Maps matches address to location pretty well. Based on my anecdotal experience, I’d put the accuracy in the high-90s percentage-wise, plus their traffic data is excellent. Their accuracy in estimating my ETA is wonderful. ETA Sharing—They also do a nice job of sharing my location and ETA with friends if I want to share it. A nice feature to have, not one I necessarily consider key, but nice for longer trips or for picking up a friend during rush hour. Design—It’s a functional app, no doubt about it. It works to glance at, gives all the key informations, and only rarely does the design feel like a hindrance. Search along route—Finding a coffee along the way, or getting gas prices for nearby stations is lovely. This is a big plus for me. Lane information—This is both a pro and a con for me, as someone who cares tremendously about knowing lanes in advance. Google does pretty well with lanes, I’d say about 85-90% accuracy based on my experience. Generic searches—Google Maps also does decently if I’m searching for something generic like coffee, though it has some misses. Public transit information—The schedules are usually accurate, and the location of stops is excellent in terms of its accuracy. Privacy—I don’t want to give my location information to Google, I don’t want to risk their storage being hacked, or my location data being sold. Battery life—I find Google Maps drains the battery quite intensely. On both an iPhone 6S and Huawei Honor 6X, the car charger only barely kept up with the rate Google Maps drained the battery. Generic searches—The misses on generic searches tend to be missing the more local stores, or at times, completely missing that Tim Horton’s sells coffee. There’s room to improve on this. Lane information—There are some misses when it comes to lane information. Walking directions—I find the walking directions often questionable. They’re often quick, but fail to take into account that I might want to take a nicer walk if it’s an extra 100 feet of distance, and takes merely 20 seconds more. Transit fares—Google Maps does fairly poorly in terms of computing transit fares, in my experience they’ve been below 50% accuracy in Montréal when it comes to connecting trips. Hard to use once going—Simply, it’s hard to use the app once you’re driving since there’s no real voice interface. Apple Maps does alright, I use it occasionally. I find it a little lighter on the battery than Google Maps, and the accuracy lower, somewhat substantially so, especially when it comes to traffic data. Battery life—I find Apple Maps much nicer on the battery than either of the other two options. Design—The design is clean, modern, and it works well. I personally find Apple Maps’ design to be somewhat better than Google Maps and less distracting. Address accuracy—Apple Maps has finally become pretty good at geocoding addresses, and eventually getting me to my destination. Public transit—Spotty support for public transit, and a bit iffy at times when it is supported. Privacy—Same challenges as Google here, but Apple. Lane information—It exists, which is nice, but seems to do substantially less well than Google based on my personal experience. Walking directions—Same challenges again as Google here. Sharing ETA—Can’t share an ETA, or at least I haven’t figured out how. Searching along route—Finding a place to stop using Apple Maps I find much more difficult than Google Maps. Traffic times—For most trips, Google Maps beats Apple Maps hands down. (I tested this across five different trips in Ottawa, ON). Hard to use once going—Siri does a bit better than Google does, but it can be still tricky to interact with the app once you’re moving. Waze is a driving instructions only app, and handles navigating around traffic jams exceedingly well. Otherwise, the main plus is giving heads up about speed traps. It’s excellent, but only serves one thing. Traffic jams—Waze gets creative and gets around traffic jams in ways the other apps do not, this I find to be the great benefit Waze. ETA sharing—You can share your ETA pretty easily through Waze. Warnings—Waze warns you about speed cameras and police officers in some jurisdictions (maybe all? ), and gives a headsup when there’s a traffic jam or accident. Easy to glance at—Waze is super easy to use if you can only just take a glance at it, that’s a big plus over the other two apps. Getting off track—Sometimes, Waze misses, as a recent experience I had meandering around the backroads of town. Getting us back on Google Maps got us to the destination ten minutes before Waze said we would. Privacy—Pretty much the same issues as Google here, especially since Waze is owned by Google. It does one thing—If you’re going on foot, or looking for much else other than car navigation, Waze is not the pick, but then again, it doesn’t pretend to be. Maps make a huge impact in terms of how we view the world. There’s a case to be made that the traditional world map, the Mercator Projection, reinforces racism. On a more local level, The Guardian published a piece in 2014, asking if modern maps are causing us to lose sense of our cities. I know that for me, digital maps feel as if they’ve lost something. We have an opportunity to shape maps into something better. maps not driven necessarily by big businesses, but focused on the city and on the user. Maps that support local businesses, and focus on making transportation as a whole easier. We can make cities easier to get around, and hopefully accidents less likely. My goal in building a maps app would be to build it city-by-city. Get the traffic data from official sources when available. Build upon OpenStreetMap, and work closely with residents to build the map that reflects their city. I’m not sure if this means different navigation algorithms, recommendations for parking in some places, highlighting certain destinations, or a different color scheme. Building the maps in this way lets us create something terrific. Something that reshapes the way we see and get around our cities. Great design—The design has to be wonderfully functional, and aesthetically pleasing. It should be undistracting for a driver, focusing only on what is needed at a glance, and fully useful for a passenger. It needs to adjust nicely for biking or walking contexts as well. Battery life—The app should draw as little battery as possible, without compromising functionality. This helps ensure that it works well for biking and the like. Accuracy—Must get addresses right nearly 100% of the time. If it fails this, the rest isn’t really relevant. 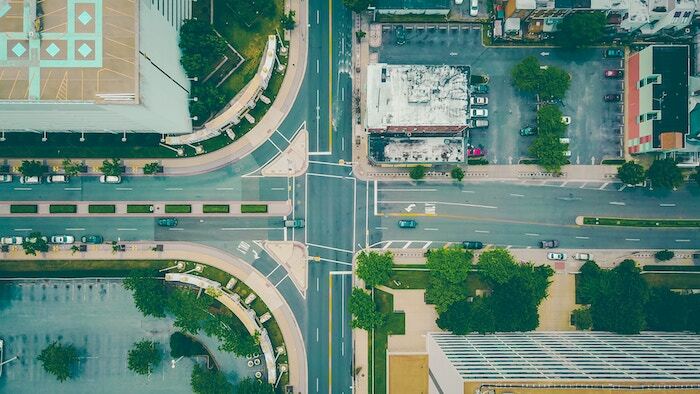 Traffic data—It doesn’t have to be perfect, but being close and allowing the routing algorithms to plan based on traffic makes for a much better experience. Public transit & walking—Getting quality public transit and walking data in would be vital, especially if the advertisements are more tailored towards walking users. Biking data might be more focused on a city by city basis. Awesome search—Finding things should be a breeze. Given the smaller search space of a single city, might be able to do better here than some of the competitors. Generally speaking, an app needs some form of revenues to keep it viable. I think that there’s two ways of tackling this well, especially since I’m vehemently opposed to selling location data. Offering both is probably the best approach. Charging an upfront fee for the app can be used to cover server expenses, development costs, etc. In this case, the bonus of paying for it is the lack of advertisements. What the exact fee is would be something for debate. Considering the nature of the app as truly customized and focused city-by-city, and much more hands on, a $4.99 price point might not be out of the question. Advertisements are tricky to do well from a privacy and user experience standpoint. I think one way to do this well would be adopt a standard advertisement design, that doesn’t scream at the user. Plus, I’d like to actually do the advertisement location tracking locally on the phone, so that there’s no way of us or the advertiser getting the user’s location for those purposes. It’d be nice to make this available to local business. For example, a business could for $0.05 have a coupon delivered to an active users walking within three blocks of the business, with an offer to direct the user there. Focusing this on local businesses and small chains, as well as a focus on keeping the ads polite, relevant, and tasteful would go a long way. User privacy has to be a focus here, especially considering the strengths and weaknesses of the other apps. First, advertisements should ideally be computed locally. User trips shouldn’t be stored, and I’m not sure a user account is even required. Secure links can be generated and then thrown away when sharing a user’s eta. Sharing traffic data anonymously, and caching address searches are probably the most challenging things when it comes to this. Anonymizing data as much as is possible is crucial here, and making this privacy-sensitive code open source would probably be beneficial to the community and the trust of the app. There’s some pretty awesome things happening out there when it comes to transportation. Collaborating with companies doing great work, and helping to shape the future of transportation would be a great way of applying this app. Whim’s not in North America yet, but what they’re doing in Helsinki is pretty cool. Transportation is a subscription model when using Whim. Cars, busses, bikes, all are included for a monthly rate. This would be excellent to integrate with a great mapping app. Having lived in Montréal for three years, I heartily appreciate Transit App, the live bus times and being able to plan based off that is a delight. I’m not sure who the go-to provider would be here, but a good carbon offset provider would be excellent. Allowing people to offset the carbon impact by automatically purchasing it for distance driven would be a nice feature to offer. Join the conversation on Twitter, tweet @erikinapeartree.